I have been starting at this cut fabric and pattern for a week. It kind of confused me, plus the pattern was in centimetres and all my sewing, cutting and measuring tools are in inches. Not that I can't convert it, but it just was an extra step. I hd to make the bib quite a bit wider, the size from the pattern was half the size, quite impractical. 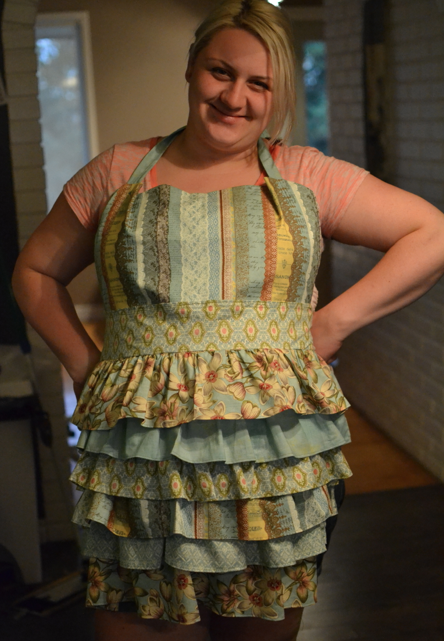 I think it turned out great, and was fairly easy to sew when I finally figured everything out!